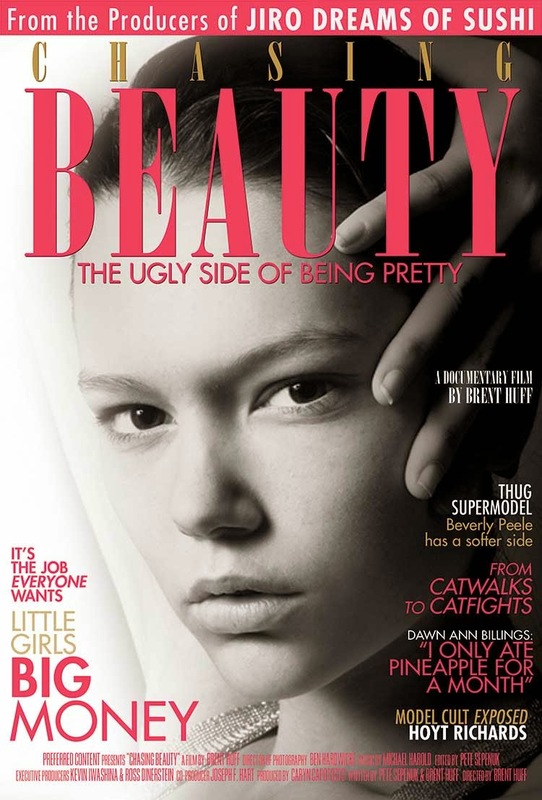 Chasing Beauty: The Ugly Side of Being Pretty | RAWR BOWS. Hello everybody! So, since it seems like I've pretty much watched all the rom coms available on Netflix I decided to find something else to watch because why go out and socialise when you can stay in bed? I found this documentary called 'Chasing Beauty' which is about the modelling industry and how it works. I don't think I'm wrong if I say that most girls have, at some point in their lives, dreamt about being a VS angel, who wouldn't like to look like Miranda Kerr or Adriana Lima? Right. Hundreds, not to say millions, of girls leave home and move to L.A or N.Y with the dream of becoming a supermodel. Truth is, only a few of them will succeed if any. Why do so many girls want to become top models? Because we are sold that if we become on we will live like queens, people will do our make up and our hair, we will be given free expensive clothes and people will adore us. All of that only because of our looks. However, is that the reality? I am not a model and I don't know any so of course I can't affirm anything but I doubt so. Models have to travel all around the world and regardless of how tired/jet lagged they are they still have to look flawless and perfect. They have to watch what they eat 24/7, they have to stay fit and on top of that they have to live their 'normal' life. Moreover, to get to be successful you have to go through so much negative criticism and people telling you that you're not good enough or pretty enough or tall enough or fit enough. And even when you are at the top people will find your flaws and point them out to you. Of course, despite of what you want to become there will always be people criticising you but I feel like in the model industry this is intensified. This documentary talks about the reality of the modelling world and how it is for most models, those who aren't superstars. It features actual models as well as former models and other people involved in the modelling industry. If you are somewhat interested in fashion or modelling you will probably find this interesting! this looks very interesting! i'm actually curious to see what really goes on behind the "glamorous" lives of models. thanks for sharing!